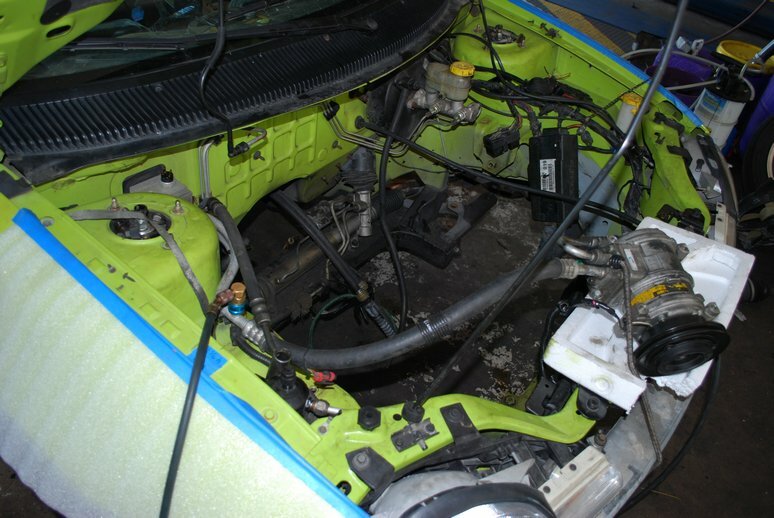 Its time to start the teardown of both cars. 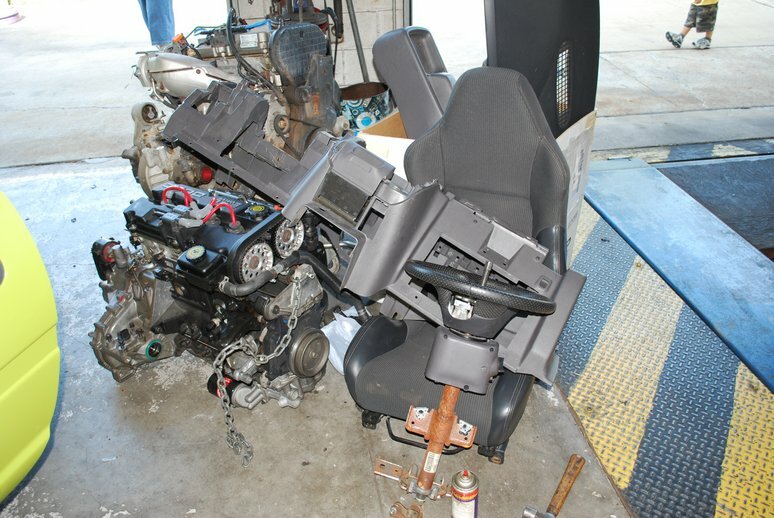 The motor, interiors will be pulled in preparation of the swap. Lots of photos are being taken in this stage, measurements are being made of the engine bays to measure clearances as well. 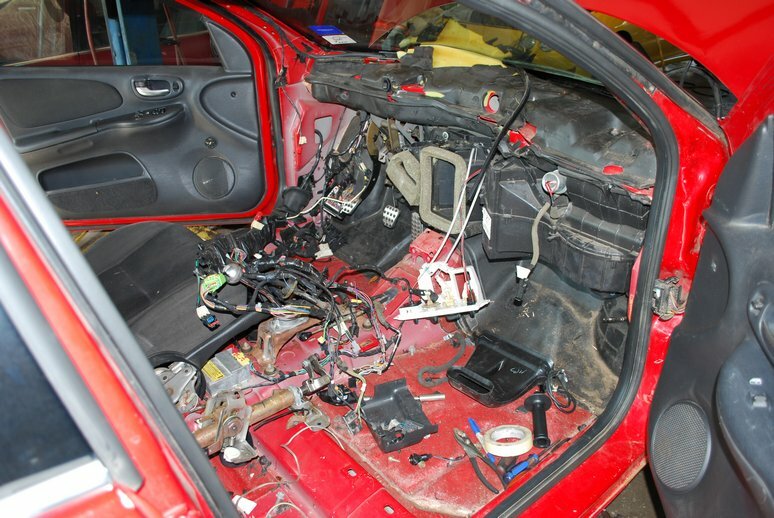 SRT4 donor car’s dash is completely removed, steering column removed. 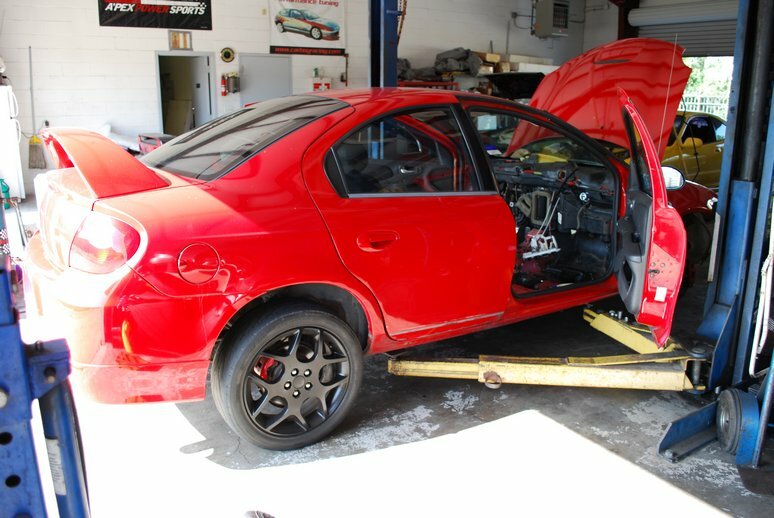 Both the 2.4 all motor engine with transmission, and the SRT4 motor with transmission are pulled at this point and sitting near the rear of the Neon. 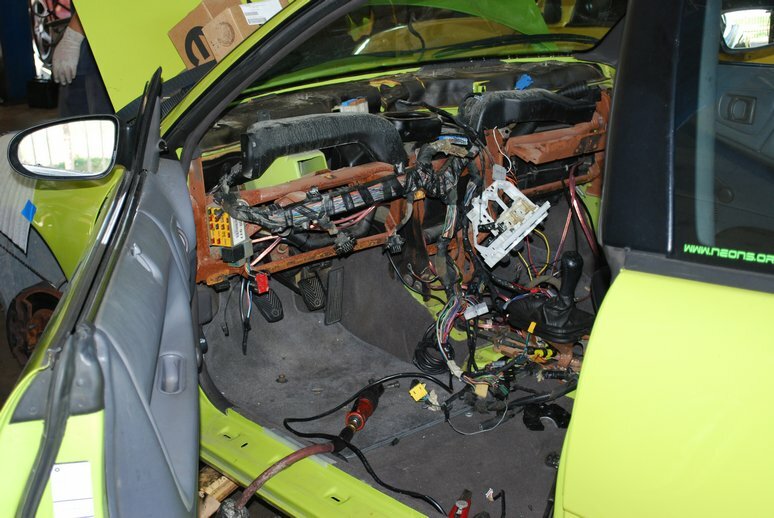 Its pretty scary to see the entire Neon dash torn apart. 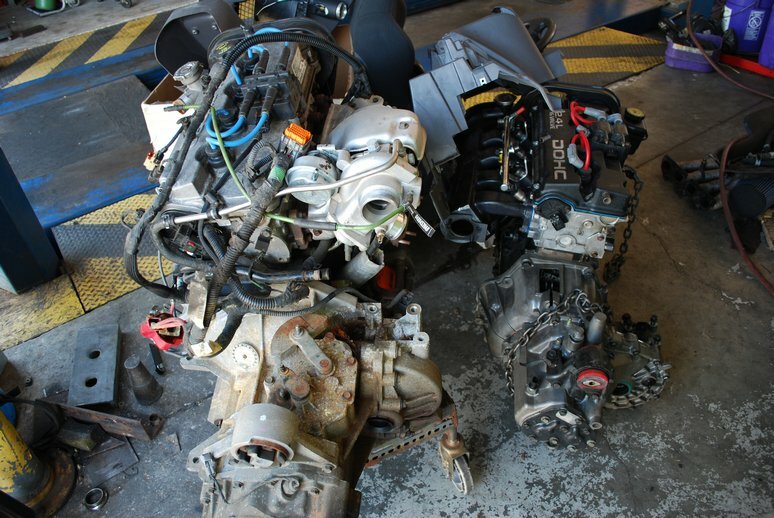 SRT4 engine/trans on the left, old engine/trans platform (2.4 all motor) on the right. The new powerplant. This should give at *LEAST* 35 more horsepower at the wheels, and about 50 lbs of torque MORE than the older engine (power quoted at the wheels, not at the engine!) It will be fairly easy to produce 70 more horsepower and about 100 lbs of torque more at the wheels than the older setup with the SRT4 motor. 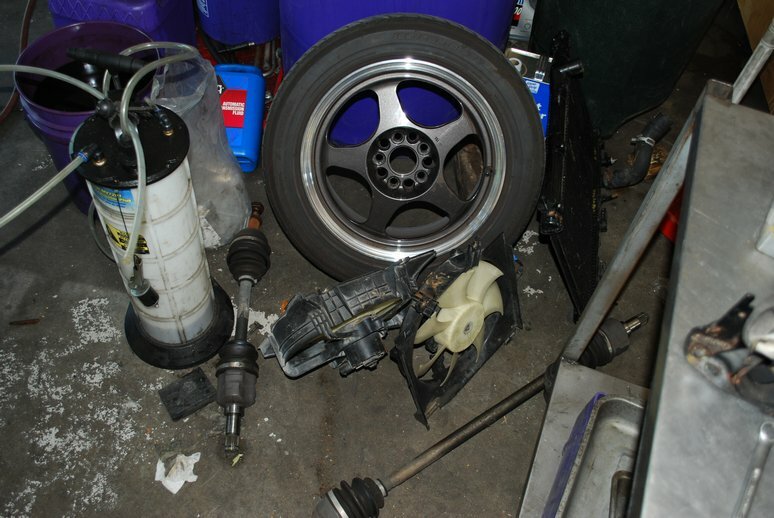 That will make a HUGE difference in such a light car as the 95 Neon. Future home of the 04 SRT4 motor and transmission. 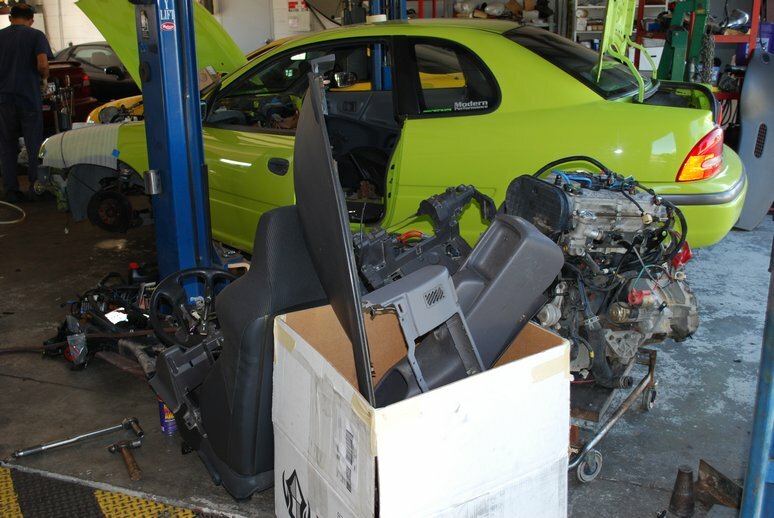 Piles of Neon and SRT4 parts are all around. 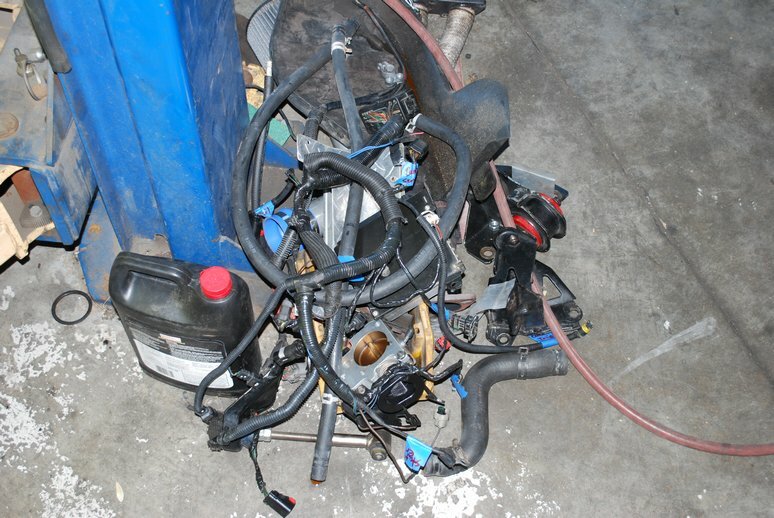 95-99 Neon Enthusiasts will recognize a lot of the parts in this pile. One of our two mechanics who are making this project happen. This is Fuey (pronounced Foo EE) who is one of the best fabricators /installers in Houston. Decided on a new engine/setup for the 95 NYG ACR..
Alternator Brackets for 2.4 swap 95-05 Neon now in stock!